How Much BPA Exposure Is Dangerous? The FDA has until Saturday to decide whether to ban the plastic additive BPA from food packaging. Some scientists think BPA poses a risk to consumers because it can act like estrogen in the body. But recent studies by government scientists suggest the risk, if any, is minimal. How Much BPA Exposure Is Dangerous? The FDA has until Saturday to decide whether to ban the plastic additive BPA from food packaging. Some scientists think BPA poses a risk to consumers because it can act like estrogen in the body. But recent studies by government scientists suggest the risk, if any, is minimal. The Food and Drug Administration has to decide by tomorrow whether it will ban the plastic additive BPA from food packaging. BPA has been in the headlines recently because of claims that it causes health problems when it leaches from certain soup cans and water bottles. Some research has shown that large doses can cause cancer and reproductive problems in animals. 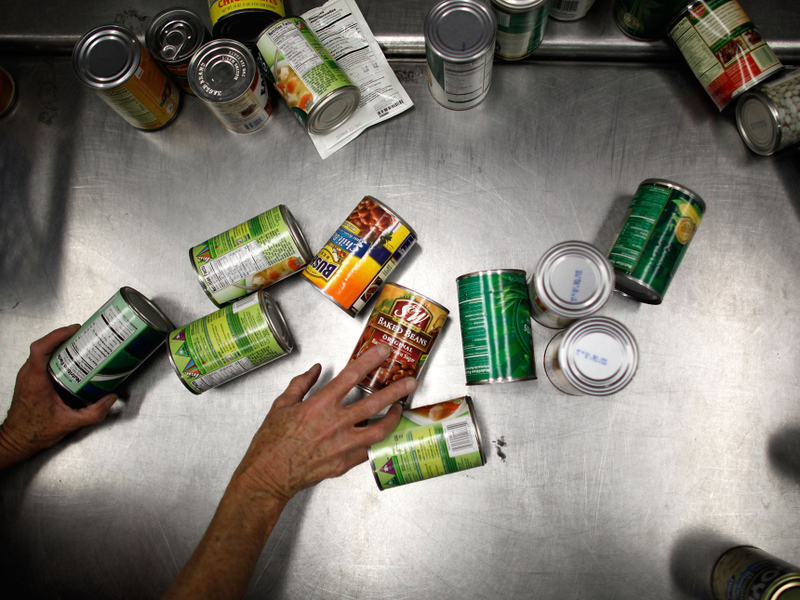 The Food and Drug Administration asked government researchers to find out if people are being exposed to enough BPA to endanger their health. Some of the results are now in, and NPR's Jon Hamilton has the story. JON HAMIILTON, BYLINE: The FDA's deadline is part of a legal settlement with the Natural Resources Defense Council, which petitioned the agency to ban BPA from food packaging. So the agency has been reviewing a wide range of studies on BPA or bisphenol-A. But not all studies carry equal weight. And the FDA is likely to focus on research done at its request by government scientists, like Justin Teeguarden. JUSTIN TEEGUARDEN: I'm a senior research scientist at the Pacific Northwest National Lab in Richland, Washington. HAMIILTON: Teeguarden was part of a high-powered team asked to help settle several key questions about BPA. One was: How much of the bisphenol-A a person eats actually makes it into their bloodstream in a dangerous form. That's an important question because the human body can actually inactivate dangerous chemicals like BPA in the intestine and liver. Teeguarden says once that happens, BPA doesn't pose a health risk. It's no longer in the harmful form he calls bioactive. TEEGUARDEN: So for bisphenol-A, for example, you may be exposed to relatively large amounts in the diet. But what matters most, is how much of the bioactive form actually reaches your blood and your tissues. HAMIILTON: Teeguarden studied 20 men and women who spent a day on a diet loaded with BPA, from canned foods and juice in plastic containers. He wanted to know whether there is a lot of bioactive BPA in the blood of people who ingest large amounts of the chemical. TEEGUARDEN: What we found was, no, there is not. At least if it is, it's present in amounts that are below our limit of detection, which in this case was point three parts per billion. HAMIILTON: Some studies that have found much, much higher levels of BPA in the blood. And that's really surprising, Teeguarden says. The reason is that to get levels that high from food, a person would have to ingest hundreds or thousands of times more BPA than the typical American gets in their diet. TEEGUARDEN: So the question is: Where did that bioactive bisphenol-A come from? HAMIILTON: Teeguarden says one very real possibility is that it got into the blood accidentally after samples were drawn. TEEGUARDEN: Contamination is a common problem. We observed it in our own study, but because we were monitoring for it, we were able to overcome that particular problem. HAMIILTON: Another big question about BPA is whether it poses a special risk to newborn children. Dan Doerge, a research chemist with the FDA's National Center for Toxicological Research in Arkansas, looked into this. He studied mice, rats, and monkeys because it would have been unethical to use human babies. In one study, he looked to see whether a lot of BPA was getting into breast milk. It wasn't. DAN DOERGE: The transfer from mother into milk is extremely low. HAMIILTON: In another study, he asked whether it's likely that human newborns are less able than adults to make BPA harmless by inactivating it. He knew that was the case for newborn rats and mice. More toxic BPA does reach their bloodstream. But Doerge found that newborn monkeys had no trouble inactivating BPA. DOERGE: So it's tenfold lower in the monkey, because they have a greater metabolic capacity to detoxify BPA, than do either of the rodent species. HAMIILTON: And humans are much more like a monkey than a mouse. Doerge says the experiments he and Teeguarden did weren't intended to prove that BPA is safe. But he says the results do add some important context to the debate about this chemical. DOERGE: It makes you think that this would have to be an extraordinarily potent compound to be causing effects at the really low levels that humans are exposed to. HAMIILTON: Of course, it's still possible the FDA will ban bisphenol-A. But many companies worried about BPA's bad image have already started using alternative chemicals in a wide range of products, especially those intended for kids. These chemicals may be safe. But they haven't been scrutinized the way BPA has.